Horse Slaughter Ban Quietly Lifted in U.S. Since 2007, slaughtering horses for meat has been banned in the United States. However, the Obama administration has quietly passed a bill that could make it legal once again. As it turns out, the issue is a bit more complex than many of us would expect. 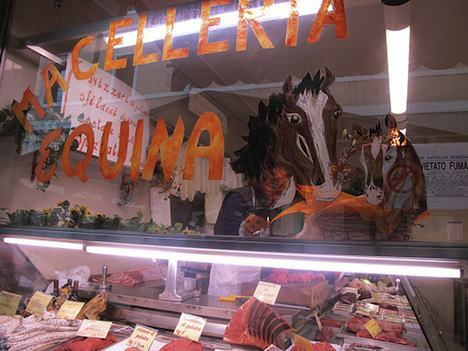 While most Americans would never even consider eating horse meat, countries such as Canada, France and Mexico have no problem with it. Slaughterhouses in the U.S. fed this demand by exporting horse meat – that is, until Congress banned the practice by refusing to fund it with proper federal meat investigations. Many animal rights activists openly supported the ban, but in a surprising move it was PETA – one of the most extreme animal rights groups in the world – that said there were negative side effects of the ban. Firstly, the ban didn’t eliminate horse meat consumption. Secondly, horses that were abandoned or seized were shipped under harsh, inhumane conditions to other countries for slaughter. PETA’s stance on the bill is that while they still obviously oppose the practice of slaughtering horses for meat, they believe that reopening U.S. slaughterhouses will ultimately reduce the suffering of horses. At the end of the day, the ends justify the means. According to PETA, if they had it their way, they would ban both the export of horses for slaughter AND the domestic slaughter of horses. It is also said that with heavy discussion brewing over the reopening of horse slaughterhouses, it is likely that more people will begin to see and understand the inhumane practice and circumstances, thus avoiding meat or companies who support it. Slaughterhouses in Montana or Wyoming could open as early as next spring, and according to United Horsemen, a pro-slaughter group, meat processors are discussing plans to open facilities in several other states including North Dakota, Oregon, and Georgia. Do you understand where PETA is coming from with this, or is this an incredibly negative and bold move with no positive outcome?